Manuel is specialised in the establishment and structuring of closed ended investment funds (including private equity, venture capital, debt, special situations, infrastructure and real estate funds), collective investment schemes and its ancillary corporate law implications, establishment of management entities, primary investments, co-investments and secondary market transactions. 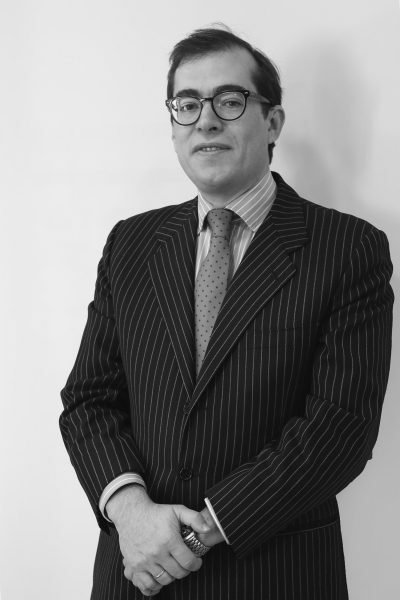 He has advised numerous investment funds including Triton Capital, Magnum Capital, N+1, Portobello Capital, Realza Capital, Alteralia, Oquendo Capital, Galdana Ventures and Nereo Green Capital as well as various investors in primary investments, co-investments and secondaries transactions including Altamar Capital, Galdana Ventures, Fonditel, BBVA, Bankia, BCEISS, ABANCA, Headway Capital, SL Capital and the European Investment Fund. Manuel was a member of the International Funds team of SJ Berwin (now King & Wood Mallesons) between 2005-2015. During such period, he was seconded for 1 year to its London office to assist in the fundraising of Triton Capital IV and in several co-investments and secondaries transactions. Universidad San Pablo CEU of Madrid (2000). DESUP Etudes économiques et juridiques de l`Union Européenne at Université Paris I – Panthéon Sorbonne (2001). LLM in International Business Law with Merit, University College of London (2003). Admitted to the Madrid Bar Association (2004).